On Tuesday, Nov. 13, Citizens for Clean Air attended a press conference on the steps of the Federal Building in downtown Grand Junction to support cleaner auto emissions standards for our state. Governor Hickenlooper has proposed these standards to address some of the air quality issues in our state. These higher emissions standards were originally adopted by California, but have now been adopted by 12 states. On Thursday and Friday, the Colorado Air Quality Control Commission will hear testimony and then rule on whether or not to adopt them. The Trump Administration has been rolling back environmental protection standards, leaving the public without ways to address our growing problem of poor air quality, much of which is caused by auto emissions. 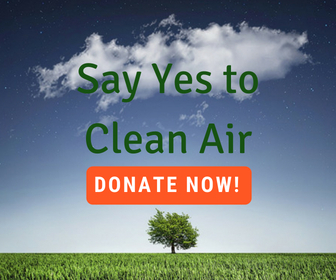 Citizens for Clean Air supports higher standards, especially since our high altitude and sunshine can contribute to the formation of ozone from auto emissions. More efficient cars can also reduce the amount of gasoline that is consumed, and will encourage more people to convert to electric or CNG vehicles, which are cleaner burning.